An herbal tincture is a concentrated liquid form of an herb. A tincture concentrates all of the properties of the herb so that they’re more effective. They also last longer. Katie at Wellnessmama.com is an expert at making tinctures. 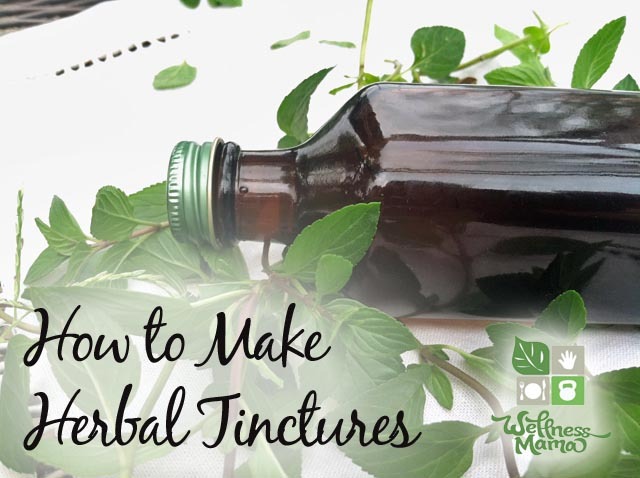 In this post she shares general instructions on how to make a tincture. She uses an alcohol base for her tinctures because they last longer. In addition to the instructions for making an alcohol-based herbal tincture, she also shares the instructions for a glycerine-based herbal tincture. If you don’t grow your own herbs or don’t have a local source for herbs, Mountain Rose Herbs has a great variety of herbs to choose from.